The professionals at P4 Security Solutions fully comprehend the personalities, skill sets and experiences that are required to successfully fill positions such as Chief of Police, Commander or Supervisor. Having professional network partners with decades of service in such roles, we have helped many law enforcement agencies with selecting and promoting the right individuals for these critically important positions. 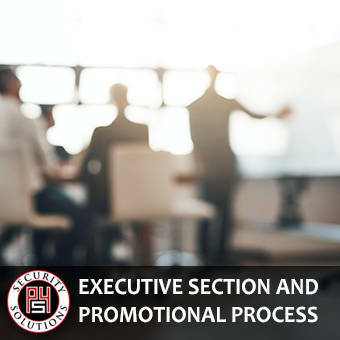 Our approach to our executive selection and promotion consultation services is tailor fit to meet the unique needs and specific requirements of each law enforcement agency.